"I was doomed from the start. Why does one run towards ruin, why does it hold such a fascination?" Sony Pictures Classics has debuted a new official US trailer for Rupert Everett's film The Happy Prince, which he wrote and directed (and produced) and stars in. Everett plays the talented writer Oscar Wilde, who was exiled from London at the end of the 1800s after it was discovered that he is gay. He spends most of his time in Paris, drunkenly making a fool of himself. The film's cast includes Colin Firth, Emily Watson, Colin Morgan, Edwin Thomas, Tom Wilkinson, and Anna Chancellor. Despite all the quotes in the trailer, the film hasn't received great reviews from most critics. Only worth seeing if this trailer gets your attention. You can also watch the official UK trailer for Everett's The Happy Prince here, to see even more footage. Rupert Everett directs and stars in the seldom-told story of the last days of exiled writer Oscar Wilde. Once the toast of London, Wilde is now a spent force. As he lies on his deathbed, the past comes flooding back to him, transporting him to other times and places. 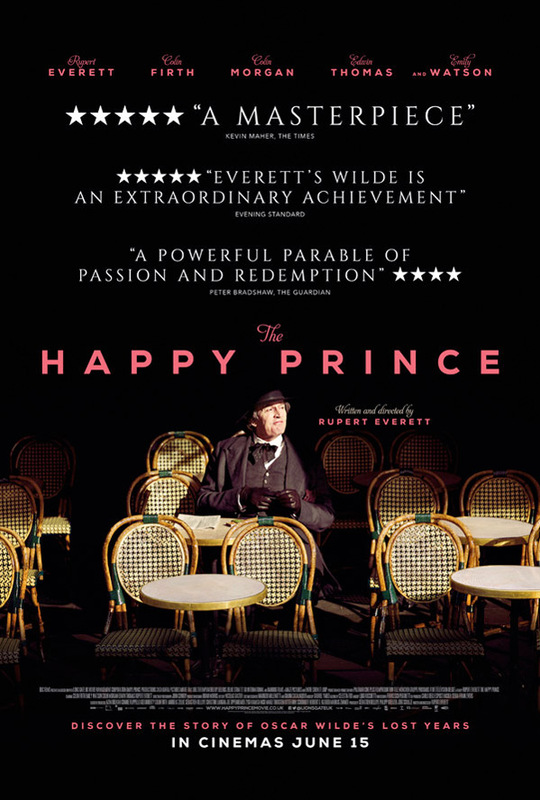 The Happy Prince is both written and directed by Golden Globe-nominated, English actor-filmmaker Rupert Everett, making his feature directorial debut with this film. This first premiered at the Sundance Film Festival earlier this year, and also played at the Berlin Film Festival. It's set to open in June in the UK, and May in other European countries. 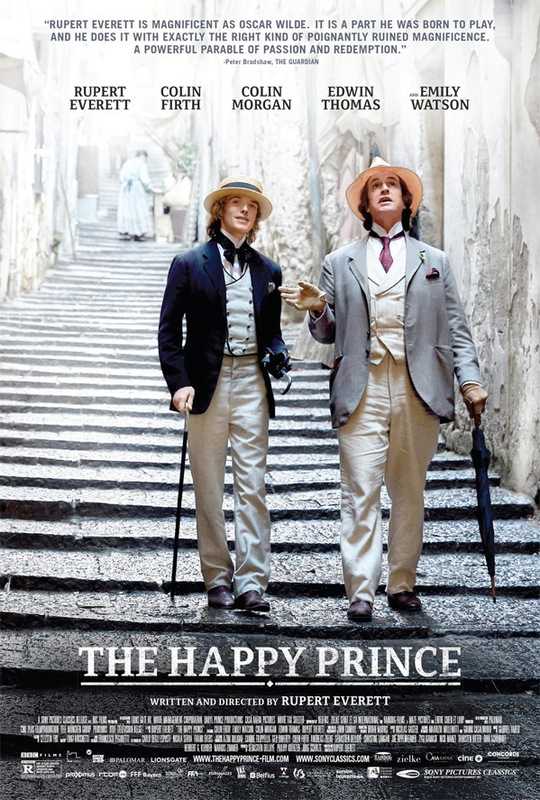 Sony Pictures Classics will release The Happy Prince in select US theaters starting October 5th this fall. Still interested?